As a QA Engineer, you will be helping us build rock-solid, cloud-based systems that provide actionable insight derived from hundreds of thousands of documents each day, all in real time. The positions are immediately available for experienced quality professionals. As a QA Engineer, you will be reporting directly to the QA Manager and will interact with an international team of software engineers skilled in distributed cloud development using Common Lisp, Java, Python, SQL and more. The ideal candidate has proven track record in software automation projects and the ability to understand complex software solutions. We are looking for applicants who can work on the design and implementation of various tools in order to validate the entire software stack. 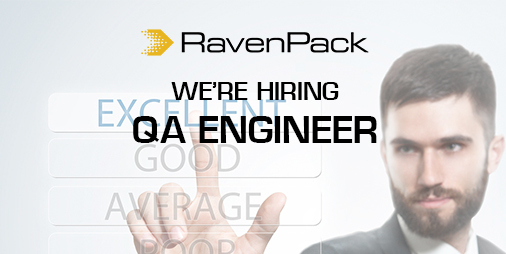 As part of the QA team, you would be also responsible for conducting the analysis of requirements. You need to think with both the user’s and developer’s perspective to come up with the right testing strategy and to identify the key indicators of the system. Testing front-end and back-end interfaces. Ability to write comprehensive test plans. The concept of the Restful API. Know-how of web driver based testing (selenium, appium). Good understanding of performance testing and evaluation. Experience as a software engineer or software engineer in test.